A fantastic confidence booster for early readers. Perfect for children who are just learning to put letters together and understand how words are formed. 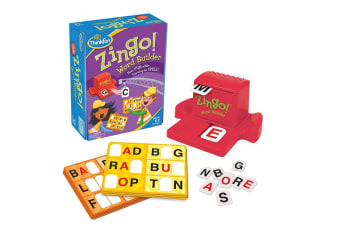 Simply slide the Zinger and claim tiles to fill your Zingo! card with three letter words – pure Zingo F-U-N!